Students will learn the theory and techniques to safely navigate through our national air system. Students will learn the theory and techniques to safely navigate through our national air system. 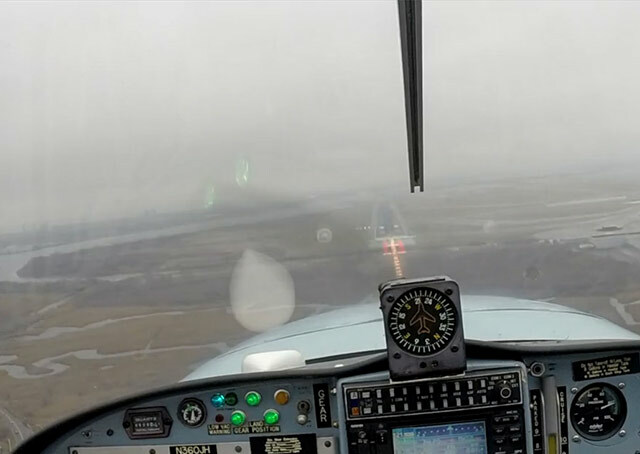 With the instrument rating, students will be able to fly in less than ideal weather conditions. Under 61, the student must have completed a minimum of 40 flight hours. Out of the 40 hours, 15 of those hours must be with the instructor and 25 hours could be done on their own. Also, the student is required to have a minimum of 50 hours of cross country time. Under Part 141, the student is required to have completed a minimum of 35 hours of flight instruction and 35 hours of ground instruction. The Instrument Rating costs approximately $7,920. This cost includes flight time, flight instruction, ground instruction, books and supplies, written exam fees, and checkride fees.